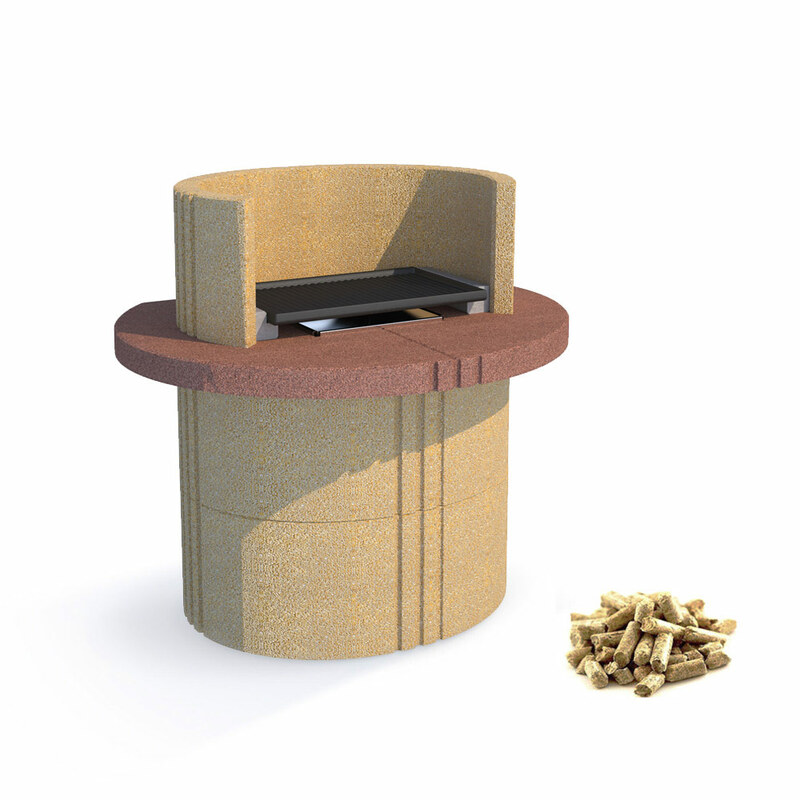 Barbecue with stainless steel pellet burner, made of special mixture with marble shot blasting, no finishing works are needed. Equipped with 60x38 cm. double-face cast iron grill and operates on pellet fuel, no power required. Quick and easy lighting. No smoke. Nearly no ash residue. INCLUDED ACCESSORIES: 60x38 cm. 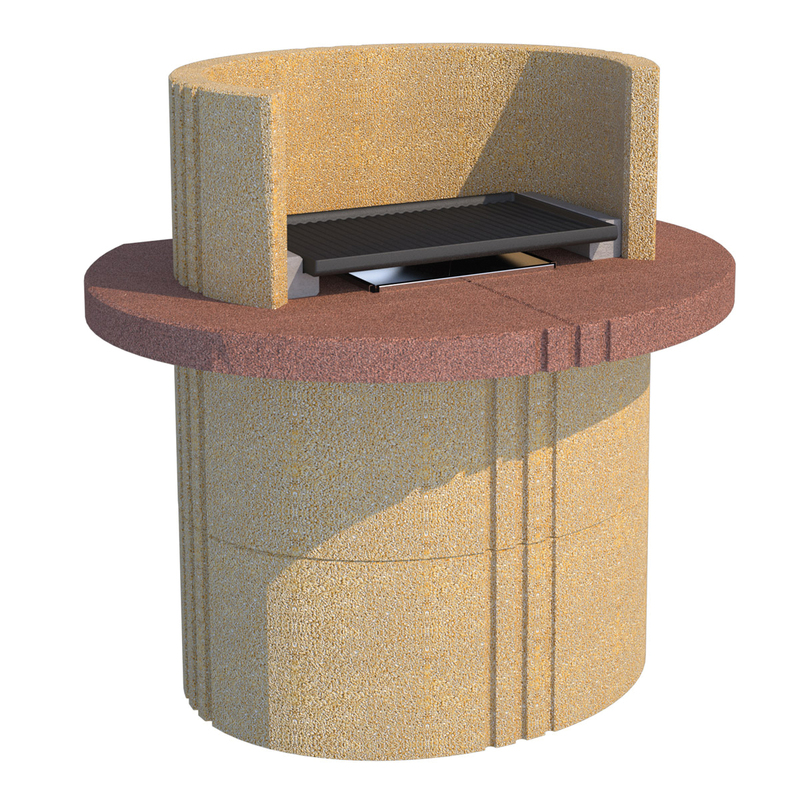 enamel-coated cast-iron grill, stainless steel pellet burner and drip pan.